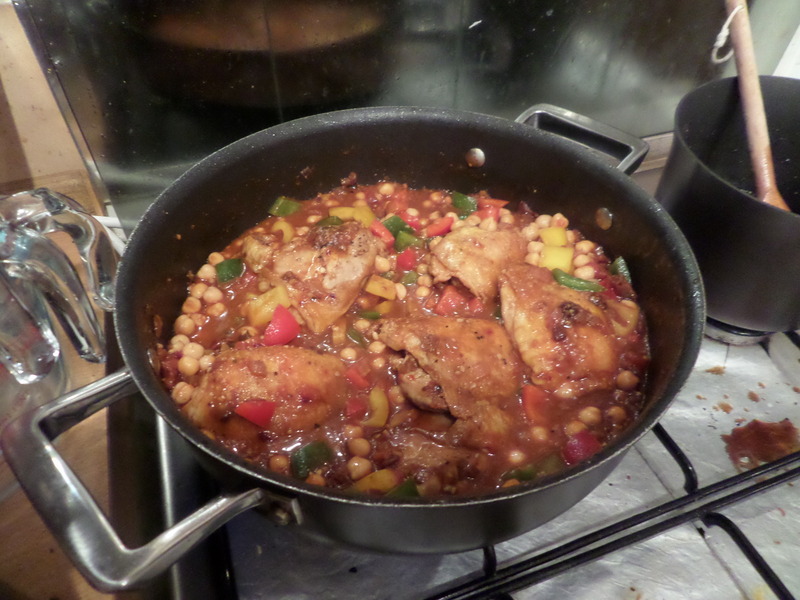 Things we have available: chicken thighs, pot of chipotle cooking sauce soon to go off. Add chipotles in adobe we’d frozen, a tin of tomatoes, a tin of random beans, and we have ourselves Mexican chicken, served with rice. I say we… Soph did all the work, I just came up with the idea. She browned the chicken thighs: skins bones and all. Made a stock from onions, chopped tomatoes, chipotle sauce and chipotles in adobo, added chick peas and chopped bell peppers. Once the chicken was cooked she removed the skins and bones and shredded it before returning to the pan to reheat, and serving with rice. 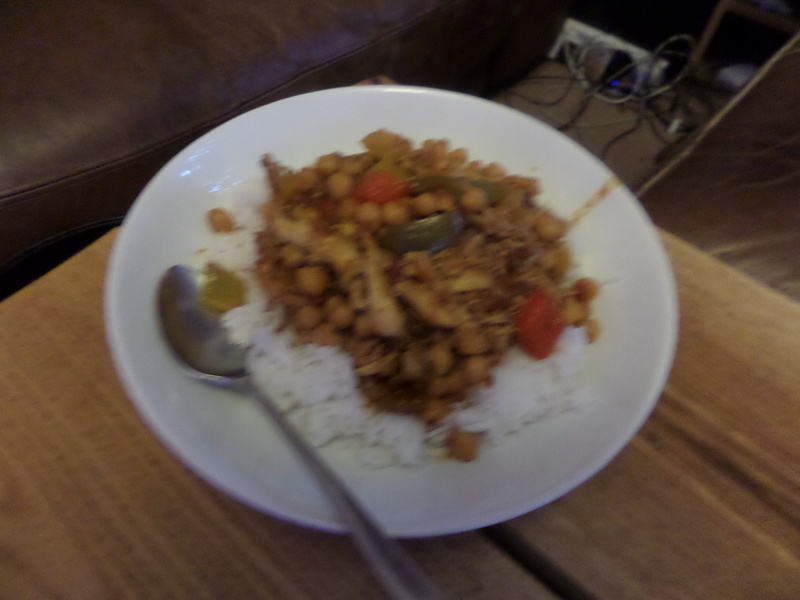 Crap picture… but excellent Mexican chicken! Full-flavoured spice that grows as you eat, but doesn’t get overpowering. We’ll freeze the leftovers for a similar meal on a weeknight in the new year.